After over a year of waiting to find out if Chuck (Michael McKean) actually self-immolated himself at the end of season three, we finally have confirmation that Chuck is, indeed, no more. This hardly qualifies as a spoiler, considering all the promotion for Better Call Saul’s brilliant fourth season have included images of Jimmy (Bob Odenkirk) and Kim (Rhea Seehorn) at Chuck’s funeral. Still, there would be no way to omit this plot development, as it clearly sets the stage for what’s to come in what series co-creator Vince Gilligan calls a much darker season. 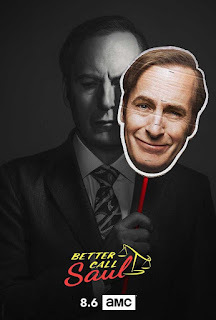 One of the joys of watching Better Call Saul is seeing how it both compares and contrasts with its predecessor, Breaking Bad, going at times in the total opposite direction of where you think it will, and at other times reminding you of Breaking Bad at its best and darkest. You could argue, and many have, that Better Call Saul is, essentially, two shows for the price of one. Plot A involves Jimmy’s eventual tragic descent into becoming Saul Goodman, yet his world doesn’t really intersect with the drug cartel and meth business that ended up consuming Breaking Bad. Enter Mike Ehrmantraut (Jonathan Banks), arguably the show’s best, most compelling character, whose Plot B storyline last season led to his eventual employment with Gustavo Fring (Giancarlo Esposito), thus setting a course for the eventual intersection of the Breaking Bad universe. In other words, it’s fascinating to see how two shows in one manage to not feel separate, rather, part of a larger whole that we can’t yet see. To that point, Better Call Saul has never apologized for taking its time in letting plot and character unfold, which is one of its many joys. Originally, Gilligan and the show’s other co-creator, Peter Gould, thought they’d get to Saul’s emergence much sooner. 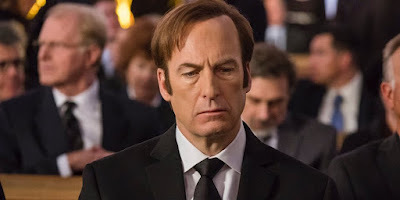 But as the show developed, they, along with the other writers, realized that Jimmy himself was an equally interesting character, with an emotional depth that Saul no longer possesses. The question then became: How does a guy like Jimmy become the sleazy Saul Goodman? Chuck’s death might provide the series’ biggest clue to date, as Jimmy’s reaction is one of shock, heartbreak and eventually relief. It is unclear whether or not Jimmy feels any guilt by the episode’s end, or if Chuck provided such a huge weight; a conscience too heavy to bear that Jimmy finally feels free. In fact, in what ended up being their final conversation, Chuck argued for exactly that: Jimmy should embrace who he really is and stop pretending to be anyone else. This was also after Chuck confessed that Jimmy never really meant all that much to him. 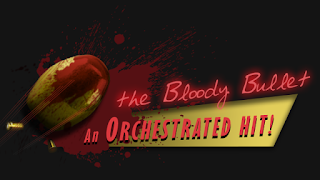 So is Chuck, or Chuck’s death the ultimate harbinger of Jimmy’s fate? The premiere, entitled Smoke, doesn’t offer any clear answers, and I’m totally fine with that. You either accept that the show is comfortable spending time with its characters; letting the story evolve naturally at its own pace, or you don’t. I for one don’t mind however long it takes for Jimmy to become Saul, or Mike to become the hitman we know him as in Breaking Bad. These characters are among the most developed, fascinating and perfectly written on television. Instead of worrying about what will happen next, just enjoy their company. Not many shows invite you in like Better Call Saul. I’m fine with waiting.